EDIT 18-07-2013: It was pointed out to me that the allprofiles.zip seems to have been taken down. 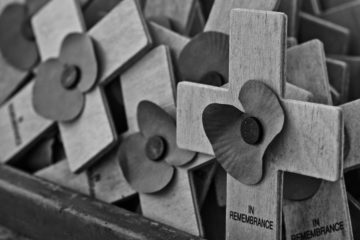 I’ve edited the link, which now points to the same server this blog is hosted on. This tutorial is going to cover how to set up MEGui to convert a video file from most formats to x264 (a free, open source implementation of the H.264 standard). It follows on from my previous tutorial “Backing up the contents of a DvD/HD-DvD/Blu-Ray using MakeMKV” [LINK] and will be followed up by a tutorial on how to use MeGui to convert DvD/HD-DvD/Blu-Ray backups to x264 high definition video. This tutorial does not contain links to web services where copyrighted material can be obtained illegally. This tutorial does contain the steps required to configure the named software (“MeGui”) to enable it to convert a video file (in almost any format) to a video file that utilises the x264 video codec and the AAC audio codec. MeGui is available as a free, open source program. NeroAAC is available as a free, closed source program. The MeGui profiles that I provide are slightly edited versions of the profiles that are available through MeGui. MeGui can be obtained from the following SourceForge page [LINK]. Currently, it is only available as a compiled binary for Windows. 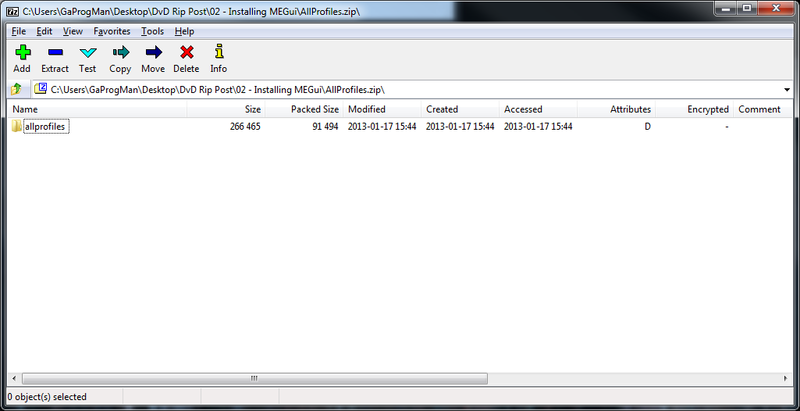 So go ahead and download the zip archive that contains the latest build. Once you have downloaded the zip archive, go ahead and extract the zip archive to somewhere on your local drive – after scanning for viruses and such, first. Once you have extracted the zip archive, go ahead and run MeGui. You’ll be presented with the update window. Allow MeGui to update all of the components that require updating. This may take some time, depending on your connection, and may required MeGui to restart several times – this wont restart your computer, just MeGui. Note: In my update window there are no updates, but a fresh install will require plenty of updates. Once MeGui has updated to the latest version and has restarted a few times, close MeGui. Now we need to download the NeroAAC encoder package. The guys over at Nero have released this for free, and can be downloaded here: [LINK] – you need to provide an email address to get the download link. 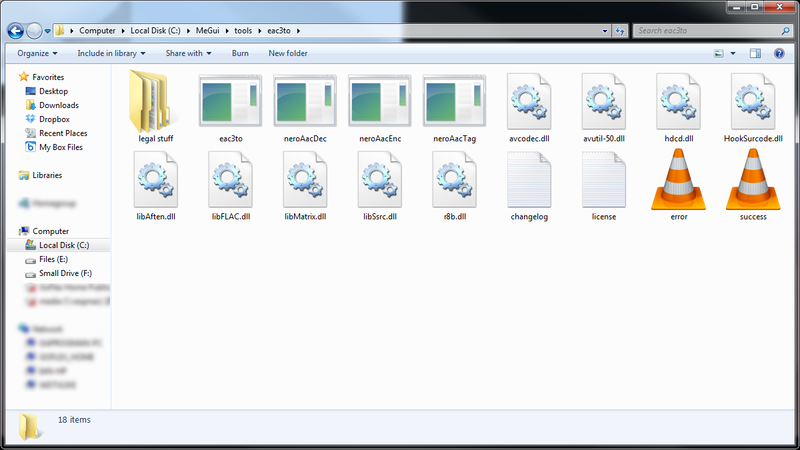 The NeroAAC contents extracted to the MeGui tools folder. Once you have done this, download my profiles zip archive (found here [LINK]). 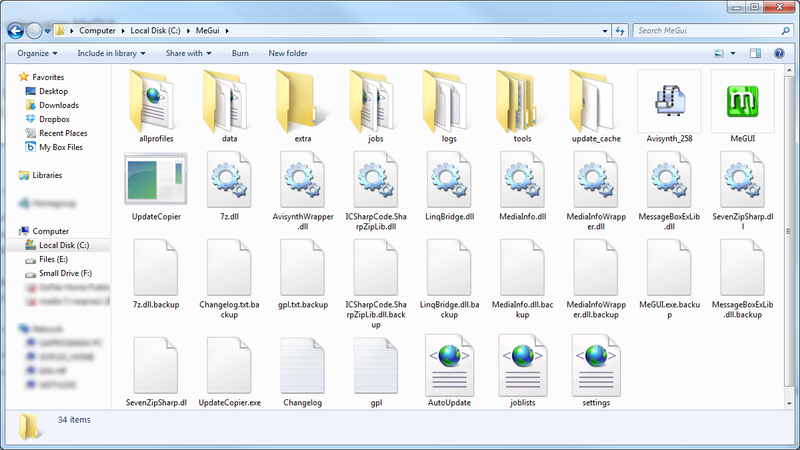 This archive contains slightly edited profiles for use with MeGui. When this file has finished downloading, extract the zip archive to your MeGui directory. You need to replace the .xml files within each of the sub-directories within MeGui’s “allprofiles” directory. 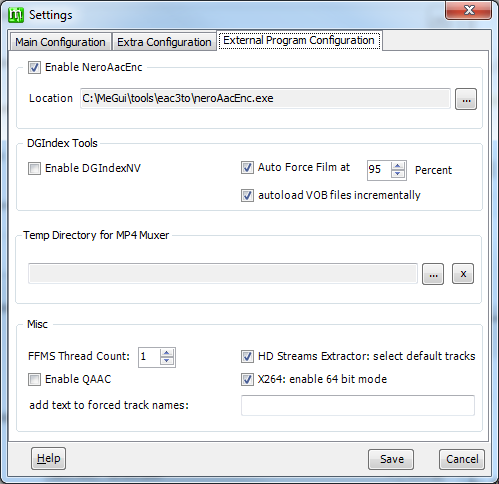 Restart MeGui and go to Options/Settings (or press Control+S) and change to the “External Program Configuration” tab and tick the “Enable NeroAAC” check box. If the text in the box underneath the checkbox does not match the path to your NeroAACEnc.exe, then change it. 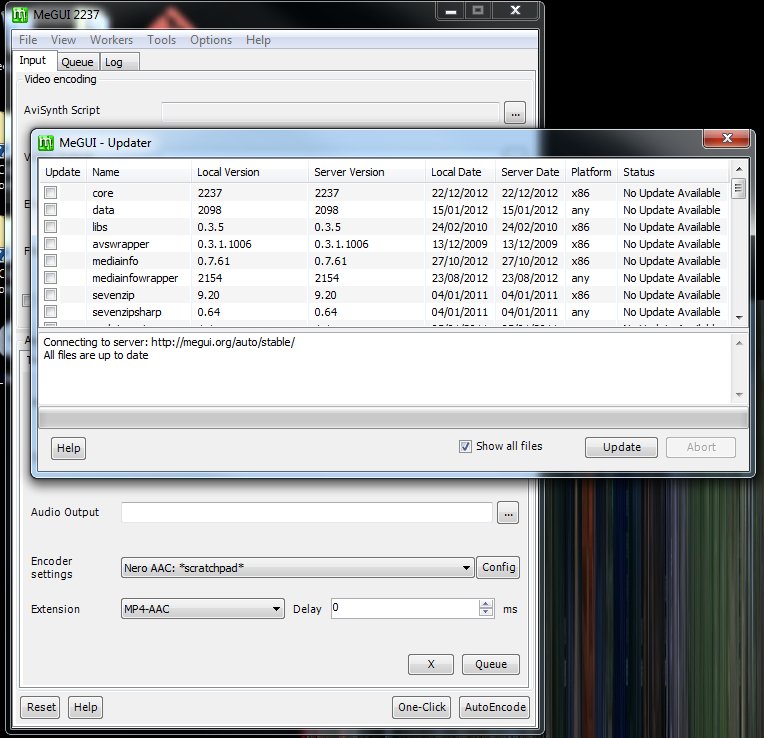 MeGui is now set up and ready to be used to convert video from almost any format to x264 High Definition video.